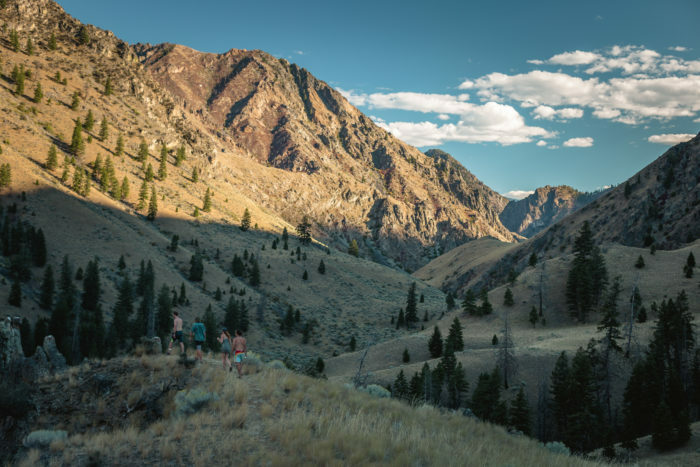 The Middle Fork of the Salmon River runs right up the gut of the Frank Church Wilderness, the largest roadless area in the lower 48 and home to 2.5 million acres of wild. 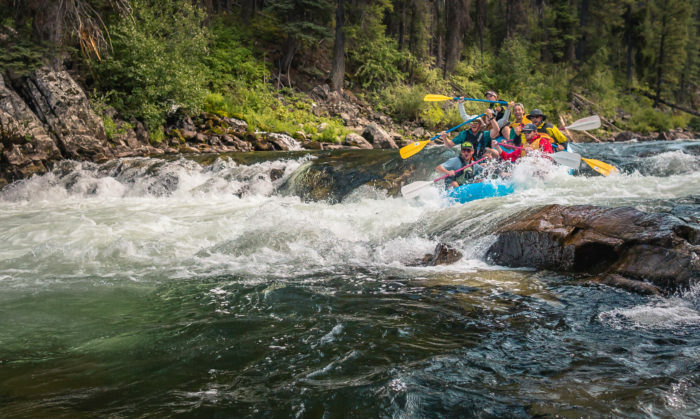 For whitewater enthusiasts, a remote, week-long, nearly 100-mile whitewater adventure is one of the most sought-after river trips in the country. 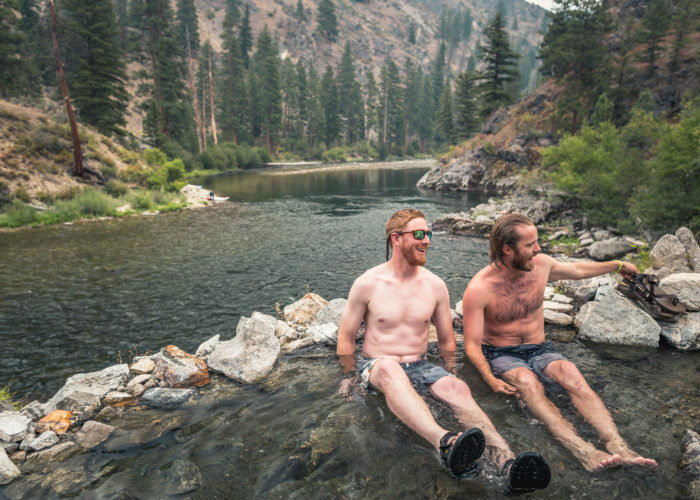 The Middle Fork certainly lived up to its designation of a wild and scenic river. For eight full days we rowed, camped, and explored one of the most remote places in the country which exists right here in our beautiful state of Idaho. Permits for the float are awarded to private groups on a lottery based system or you can hire a commercial outfitter to luxuriously guide your group down. For our private group of 11, it’s a trip none of us will soon forget. The put-in for the Middle Fork is at Boundary Creek, a campground about forty miles northwest of Stanley. The take-out, 100 glorious miles away, is after the confluence into the Main Salmon at Cache Bar near Salmon. A critical variable of the float is how high (or low) the river level is at the time of put-in. In spring, water levels are high and the river is raging. For floaters, this means consequential rapids and that some river camps will be underwater. Late summer when the levels are low, it means a rocky first few days on the boats. 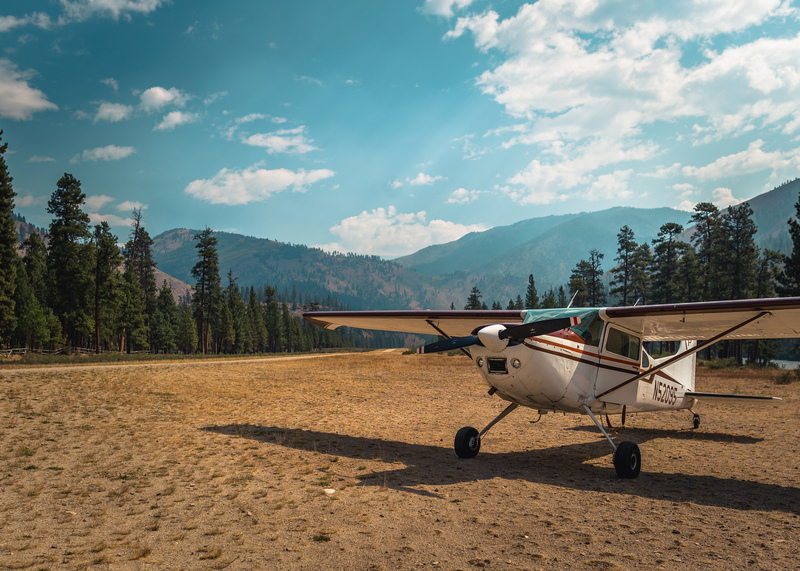 When the levels get too low, most outfitters and even some private trips elect to fly into a backcountry airstrip at Indian Creek, which would normally be around day three, in order to skip the “boneyard” of shallow waters above. The benchmark for low water is about two feet and you can view river levels of the Middle Fork leading up to your trip here. We put in at 1.78 feet and, in an effort to save weight over the early and shallow waters, hired SP Aircraft to fly two heavy coolers and a dry box into Indian Creek. Before put-in, your permit holder will meet with the forest rangers as well as permit holders of other groups that are putting in on the same day as you. The purpose of this meeting is to divvy up camp spots for the week and cover river rules and leave no trace policies. It’s helpful to know which camp spots you’re hitting on each specific day to plan for mileage and to ensure you’re the only group at any given camp spot. We were the only group at the put-in because of our perseverance through Idaho’s annual wildfire season and were rewarded with primo camp spots the entire week. Our mornings on the river were spent waking up slow, eating a hearty breakfast, and rigging up the boats. We were usually on the river by 10:00 a.m. and, depending on the day, mileage, and rapids, would have about 4 or 5 hours in the boats. We’d make sandwiches midday at a cool spot, then continue on to our assigned camp for the night. After dinner and laying out pads and sleeping bags, time was mostly spent exploring the Salmon River Mountains, searching for pictographs, fly fishing, and playing songs around the campfire. We lucked out by coincidentally planning our trip during the Perseids meteor shower. On one of the most memorable nights, all 11 of us laid our pads in a row on the sandy beach at Funston camp and watched shooting stars ’til one by one we fell into a Utopian sleep. There are incredible hot springs scattered along the first half of the float. The first spring happened to be at our first camp, Trail Flat, and was located just below the bank we camped on. This might be the cleanest, most perfect hot spring I’ve ever been in. Most of the evening was spent soaking and enjoying the view of the river. A couple days later we hit Sunflower Hot Springs, a series of pools that sit above the river on a large rock. 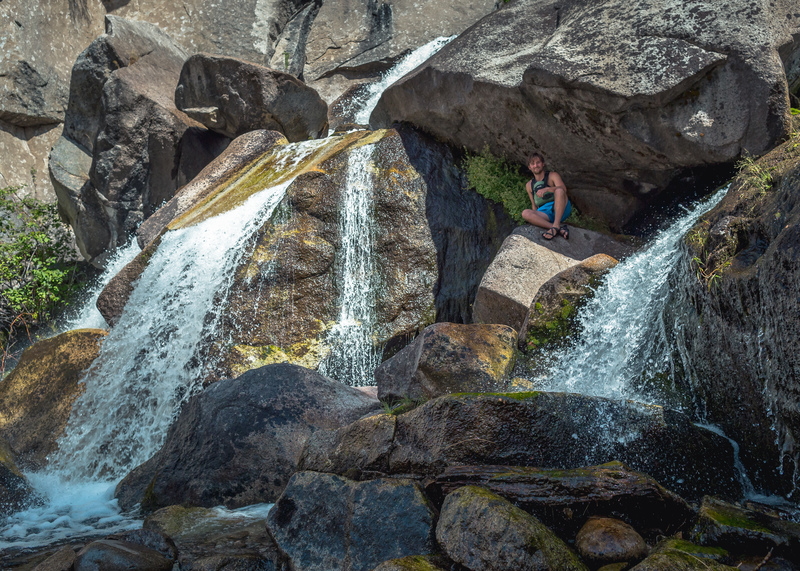 Everyone was able to fit amongst the various pools and there was an enchanting waterfall created by the springs above. The last hot spring we hopped in was Big Loon. We hiked at night up Loon Creek from our spot at Cow Camp to a large pool alongside the creek. We met with other floaters and shared an unforgettable night under the stars. Rapids range from easy class IIs to consequential class IVs that should be scouted before your group goes down them. Some days there isn’t much river activity while others are action-packed. Our paddles were clenched extra tight through about a dozen rapids, including Hells Half Mile, Powerhouse, Pistol Creek, Tappan Falls, House of Rocks, and Cramer Creek. We had a few scares throughout our big adventure but no rafts were flipped and no one got hurt. 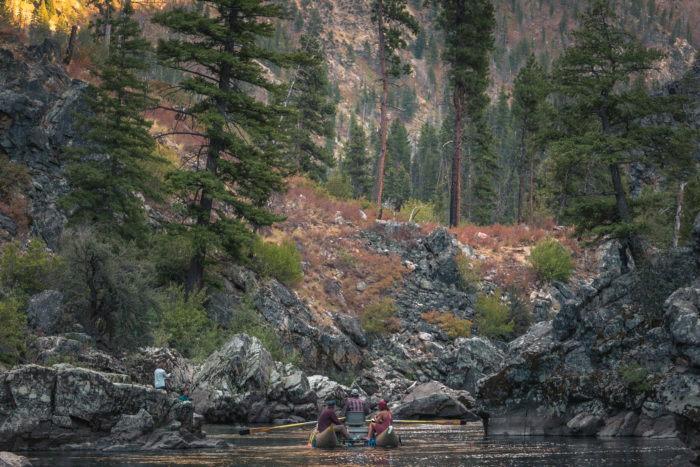 In addition to its distinguished whitewater, the Middle Fork is also renowned for its outstanding fly fishing. It’s common to see fishermen on the bow of rafts casting their way downriver. Our crew was hooking rainbow trout, cutthroat trout, and mountain whitefish. Some river camps are absolutely perfect for throwing out lines as well. We had good luck on night two at Pistol Creek and the final night at Cliffside. The pool below Pistol Creek rapid was something out of a dream and one of our oarsmen ferried guys across the river from camp to fish from the boulders above. Although we were on a private trip, we befriended a couple of welcoming river guides from Hughes River Expeditions who filled us in on the must-see attractions on the river. 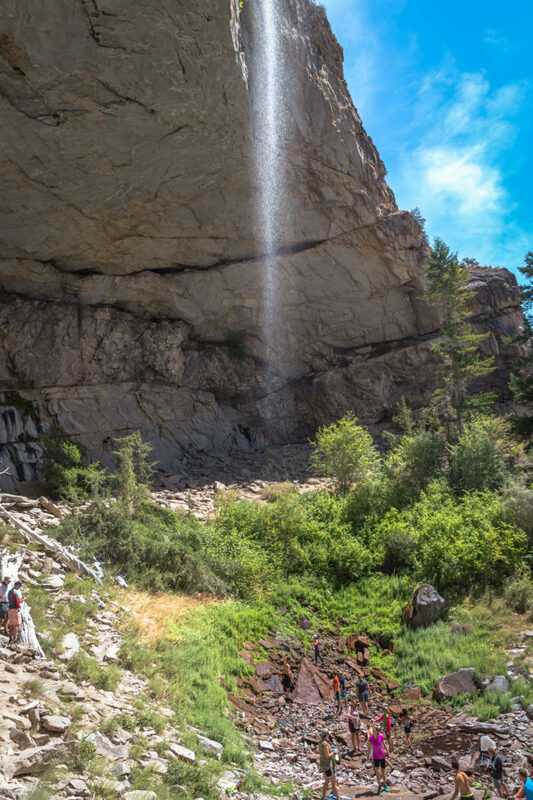 The three most notable were Waterfall Creek, Veil Cave, and Parrot’s Cabin. Waterfall Creek appears to be a small stream running through some boulders, but if you climb up high enough you’re rewarded with a picturesque 20-ish foot waterfall. Veil Cave, about three miles farther downriver, was a trip highlight for me. A waterfall spills down from above a huge grotto to the ground below. The flow was just a trickle but because it falls from such a height, the wind whips it around like a string. Lastly, we checked out Parrot’s Cabin where a famous hermit used to reside. There was another waterfall behind the remnants of his old cabin. 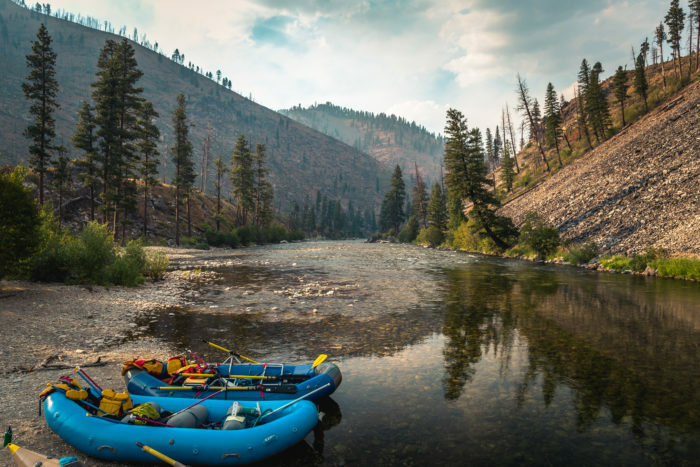 The best resource we had on the river was a comprehensive guide book by Matt Leidecker called The Middle Fork of the Salmon River. It’s a spiral-bound, waterproof book that calls out each camp spot, point of interest, and notable rapid. It also has fun historical facts about the Shoshone and Nez Perce tribes in addition to an entire section dedicated to the unique geology of the area. This is the guidebook you want. For complete details about trip and equipment requirements, permit information, and more, visit the Forest Service web page here. All photos, including feature image, are credited to Dusty Klein. Dusty Klein is a Boise-based outdoor photographer who enjoys capturing moments of his adventures around our beautiful state. Follow his travels on Instagram.